Sure enough, the Palestinians did it again when they announced that President Mahmoud Abbas would not hold a scheduled meeting with Vice President Mike Pence after President Trump announced U.S. recognition of Jerusalem as Israel’s capital. Most Palestinians are good people who would like to have normal lives – go to work, educate their children, live in peace. They would no doubt be happy if Israel disappeared tomorrow, but they’ve reconciled themselves to living with Israelis. So if it were up to them, the majority of Palestinians would probably agree to a compromise peace plan with Israel. But unfortunately, the Palestinian Authority is a dictatorship run by Abbas without public support and with little regard for his people. A recent poll in the West Bank and Gaza – conducted by an independent Palestinian think tank – found that 67 percent of Palestinians want Abbas to resign. In reality, Palestinians have no choice but to make concessions or live under current conditions. Israelis do not want to maintain the status quo, but they can do so if given no choice by the Palestinians. It’s true that the Palestinian people suffer deprivations because of Israel’s policies and actions – but these problems are self-inflicted, because some Palestinians engage in terror that provokes Israeli countermeasures necessary to protect the safety its people. In the same way, the United States and many other nations have beefed up security after terrorist attacks. Meanwhile, Abbas has prevented elections for a decade and denies his people most civil and political rights. Palestinians lack freedom of religion, freedom of the press, freedom of assembly, women’s rights and gay rights. 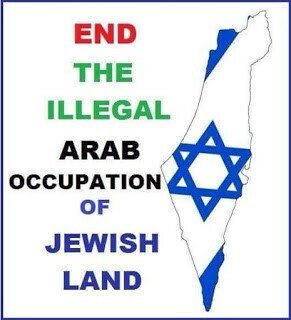 Arabs in Israel have far more rights and freedoms that Arabs living in the West Bank and Gaza. Sadly, no one cares. The international community, the U.N., human rights groups, and pro-Palestinian advocates are silent when it comes to Palestinian abuses inflicted on their own people. They only care about Palestinians if some alleged abuse can be blamed on Israel. President Obama was sympathetic to the Palestinian cause. Yet Abbas ignored Obama administration entreaties not to go to the U.N. with Palestinian grievances. And Abbas refused to negotiate with Israel based on Obama administration initiatives. Palestinians also continue to make demands upon Israel as if they are the dominant power in the relationship. They delude themselves when they act as though Israel has any reason to accept such unrealistic demands. The belief that the international community will force Israel to surrender to Palestinian demands is the latest manifestation of Palestinian Derangement Syndrome. For decades, Palestinians have harbored the delusion that the Arab states cared about their cause and would drive the Jews into the sea on their behalf. But in truth, Arab leaders were interested in divvying up lands Palestinians claimed and for many years wanted to destroy Israel. Fortunately, Arab armies were unable to defeat Israel in battle, though they tried repeatedly by attacking the Jewish State in war after war. And today Arab states are moving closer to Israel, as they recognize their mutual enemy is Iran and conclude that the Palestinian issue is irrelevant to their national interests. As a result, following President Trump’s announcement accepting the reality that Jerusalem is Israel’s capital, Arab leaders made perfunctory statements condemning the decision but did nothing. Muslims around the world did not answer Abbas’s call for three days of rage. In fact, few Palestinians paid attention. The Palestinians turned to terror many years ago in the delusional belief that they could bomb the Jews out of their homeland. But hijackings, suicide bombings, intifadas and ongoing attacks have not and will not succeed in improving the plight of the Palestinians. The violence has only made things worse for them. The entire Israeli public shifted rightward after the Israeli evacuation of Gaza – giving Palestinians control – because the Palestinians destroyed the land-for-peace formula by bombarding Israel with rockets. Most Israelis now demand concrete security guarantees before they withdraw from another inch of disputed land. Any nation in the world would demand such guarantees. Perhaps the most dangerous aspect of Palestinian Derangement Syndrome is that Palestinians have convinced themselves that they do not have to compromise with Israel, because time is on their side. 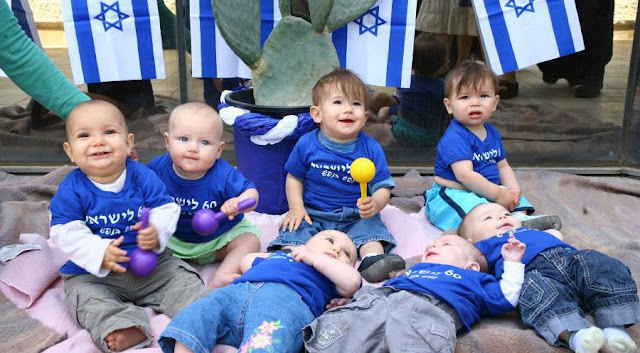 The fertility rate of Jews is now higher than that of Palestinians; nevertheless, some Palestinians believe they will eventually outnumber Israeli Jews and somehow swallow up Israel. Alternatively, some Palestinians hope that one or more countries in the region will obtain nuclear weapons and destroy Israel. The Iranians are the most likely to get a bomb, but if the nightmare of a successful nuclear attack on Israel ever became a reality, there’s no question that many Palestinians as well as Israeli Jews would die. The best hope for a cure for Palestinian Derangement Syndrome is a change in Palestinian leadership. Abbas represents the last of the old guard, which psychologically cannot give up the dream of liberating all of “occupied Palestine” – meaning all of Israel, not just that lands Israel captured after it was attacked by Arab armies in the Six Day War in 1967. · Providing basic civil rights to the Palestinians under their authority. 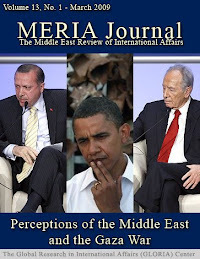 · Entering face-to-face negotiations with Israel with realistic expectations. · Demonstrating that they are willing to live in peace beside the Jewish State. 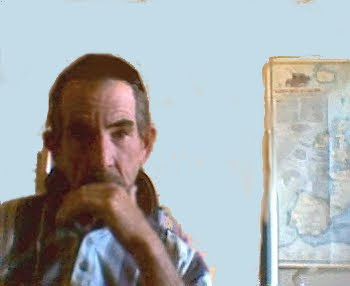 · Recognizing that the 1949 armistice line that set the newly independent State of Israel’s border after it defeated invading Arab armies will not be the border going forward. · Accepting that Israel will never give up its ancient capital of Jerusalem. · Understanding that Israel will not accept the Palestinian dream of a “right of return” for more than a fraction of the Palestinian refugees who fled Israel in the 1940s and their descendants born elsewhere in the last 70 years. · Accepting that Israel will never withdraw from major settlement blocs in the West Bank. · Giving up the idea that Israel can be pressured to accept their demands by outside parties through boycotts, U.N. resolutions or any other threats. Ending Palestinian Derangement Syndrome will be not be easy. The delusions of the syndrome are older than most Palestinians alive today, taught to them since childhood. But at some point, Palestinians will have to accept reality if they truly wish to reach a mutually beneficial peace agreement with Israel.